We are grateful to the people at Toyota and DriveShop for allowing us to test out this 2018 Toyota 4Runner Limited for a week. All opinions are 100% ours! As the kids are getting a bit older, I am finding myself driving all around town getting them from one place to another. From soccer practice to gymnastics, Girl Scouts and chess club, I am constantly carting kids around. Of course, we are now also now trying to be helpful and take the kid’s friends with us and carpool when we can. Needless to say, my current car is feeling a little small these days. 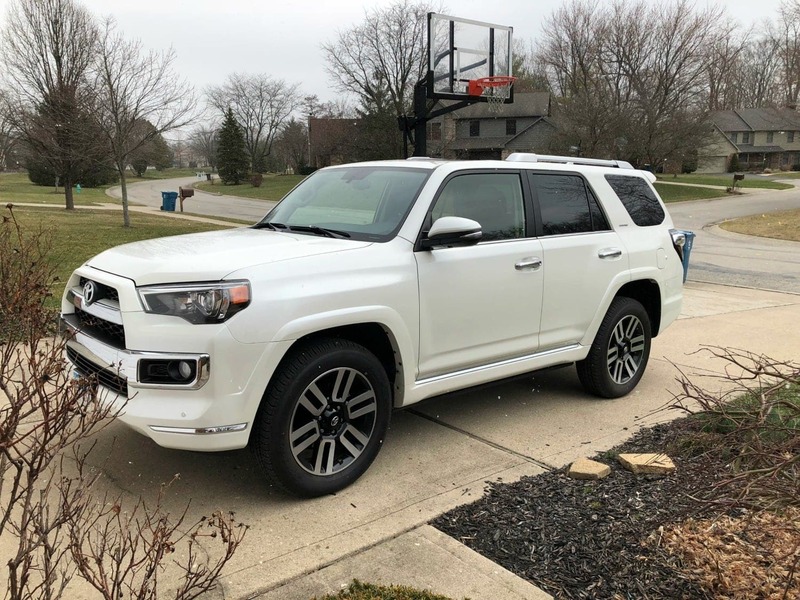 My husband and I have been thinking about going bigger with our family vehicle so when we were approached to test drive the 2018 Toyota 4Runner Limited for a week, we thought it would be a good time to try out a larger vehicle for our family. 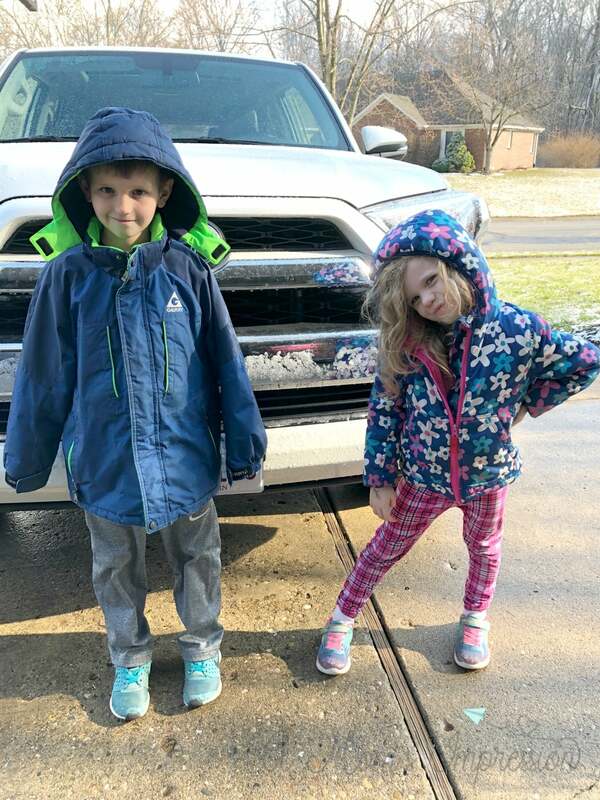 My kids are trying to figure out why it is still snowing in Indy. The 2018 Toyota 4Runner comes in 6 different trim levels, the SR5, SR5 Premium, TRD Off-Road, TRD Off-Road Premium, Limited and TRD Pro. Toyota gave us the Limited model to use for the week. As I mentioned earlier, our family has much smaller vehicles at the moment. 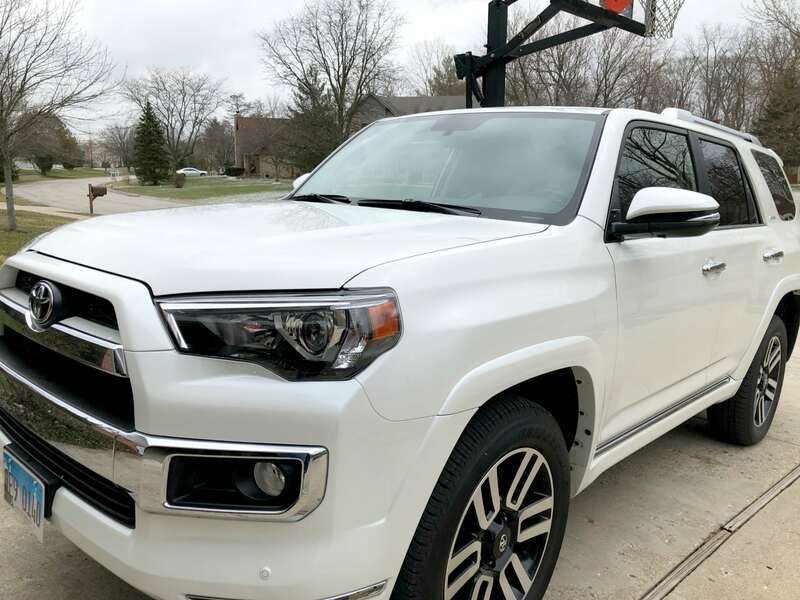 We own a compact SUV and a sedan, so when the Toyota 4Runner was delivered it looked huge to us. At first, I felt like I was driving my dad’s huge pickup truck, but I got used to sitting up so high after the first day. The cargo room in the Toyota 4Runner was especially nice for families. We took our 4Runner on a little road trip to Dublin, Ohio when we had it for the week and we had plenty of space for all of our belongings. The second-row seats were roomy enough for both of my kids’ booster seats and they had room to store their backpacks for the trip. All Toyota 4Runner’s have a 3rd-row seating option. I was a little disappointed that the 3rd-row seating didn’t come standard with the Limited model as I was hoping to test it out while we had the vehicle. 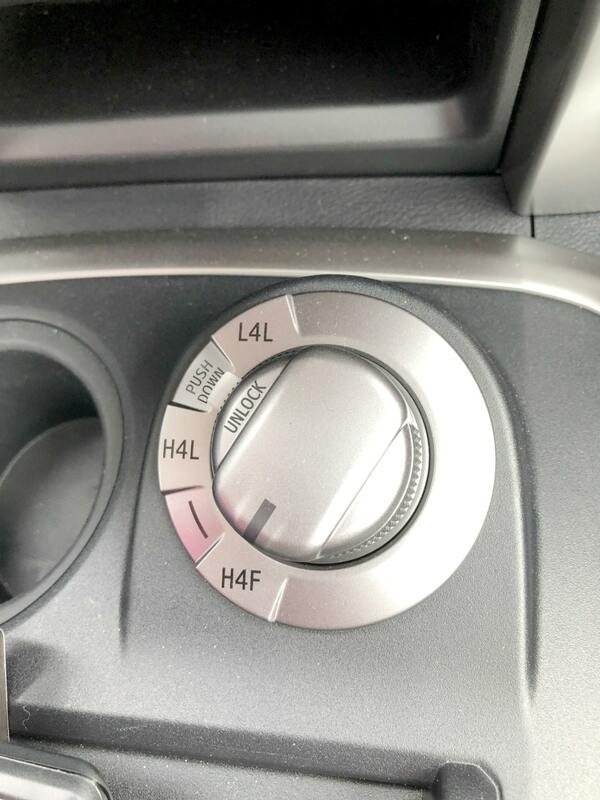 I know that if we were to purchase a 4Runner in the future we would add this feature. I like the ability of the 4Runner to save custom seat settings for 2 passengers. We have gotten used to this feature in my husband’s car so this was great for us. It is so nice to not have to spend a few minutes early in the morning to adjust the seats before driving the kids down to the bus stop. Adjustable driver’s seat with lumbar support comes standard in all Toyota 4 Runners. Since we drove a few hours to Ohio while we had the 4Runner we got a good sense of how comfortable this car would be on a long road trip. I was very happy with how comfortable the seats were. As you can see from the pictures, we got a little snow here in Indy so I was grateful for the heated and ventilated front seats. 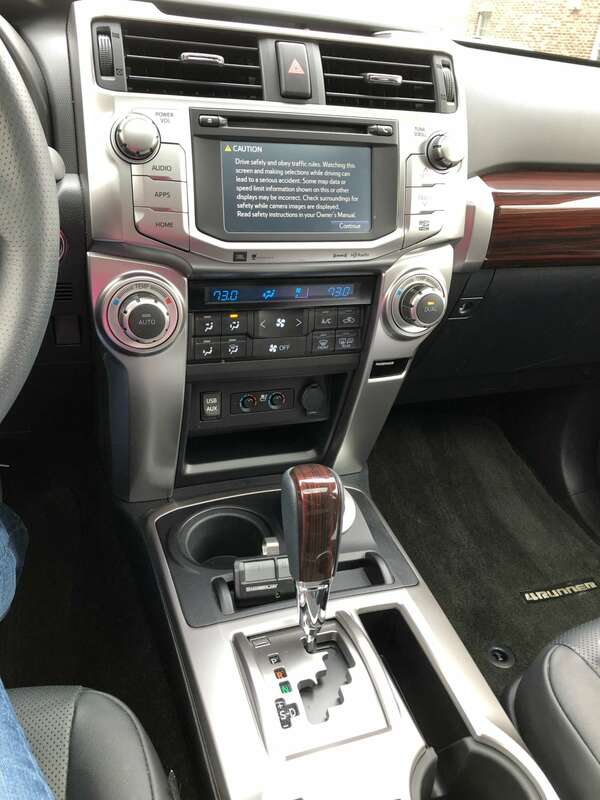 In terms of multimedia, the 2018 4Runner comes standard with a 6.1-inch high-resolution touchscreen display with eight speakers, voice recognition, Bluetooth®, and Siri®. With L4L, H4L, and H4F options, the 2018 Toyota 4Runner is built to go just about anywhere. While we probably don’t need this feature living in Indy and not doing much off-roading, my family in Idaho would not only love these features, they would find them essential. Toyota is a name that I associate with vehicle safety. In fact, 9 Toyota vehicles were named “Top Safety Picks” by the Insurance Institute for Highway Safety in 2017! I know that my family is as protected as they can be when they ride in a Toyota. The Toyota 4Runner’s Advanced Airbag system comes standard with 8 airbags to protect your family. To prevent injury from side collisions, Toyota installed side impact beams into all doors. Toyota also offers ToyotaCare featuring a no cost maintenance plan with roadside assistance for Toyota owners. 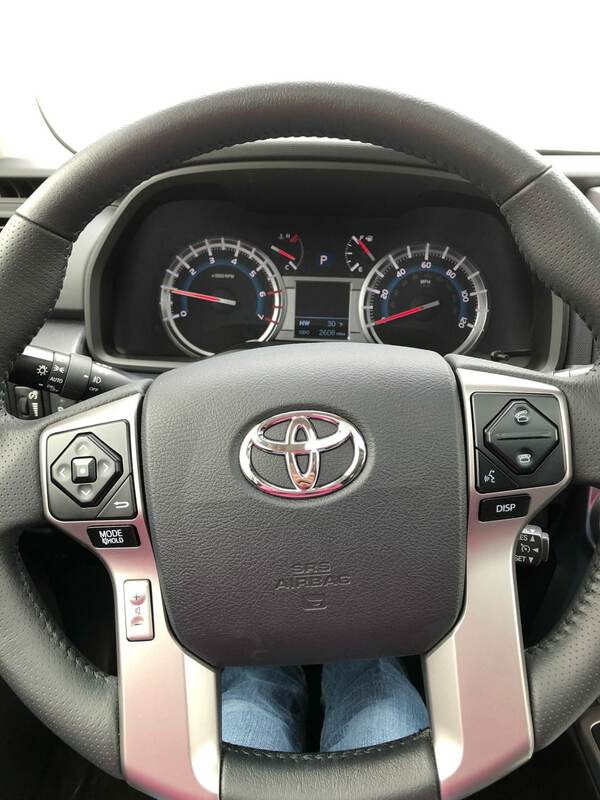 You can read more about all the safety features of the 2018 Toyota 4Runnner here. Overall, the Toyota 4Runner Limited was a great family-friendly vehicle. There was lost of room for our things, and we felt very safe. 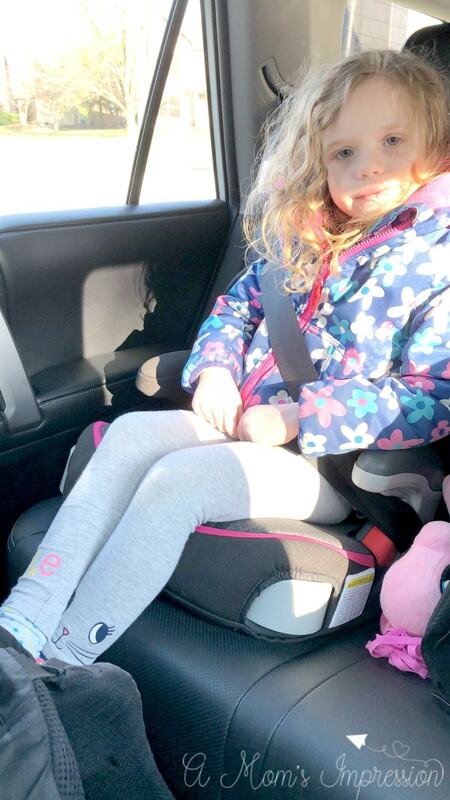 It was very comfortable during our 3-hour road trip and was excellent in the snow. We did feel like we were driving a large vehicle and the engine was a little loud (it is a v6 overall) but most of those issues were because we currently are used to driving compact cars. We feel like the 4Runner is a good option for families who need a third-row option if they don’t mind paying extra for it. I personally prefer the time we had with the 2017 Toyota Highlander, but if you need a little more power or if you like to off-road the 4Runner could be the vehicle for you! To learn more about the 2018 Toyota 4Runner Limited, starting at $34,610, visit Toyota’s website. 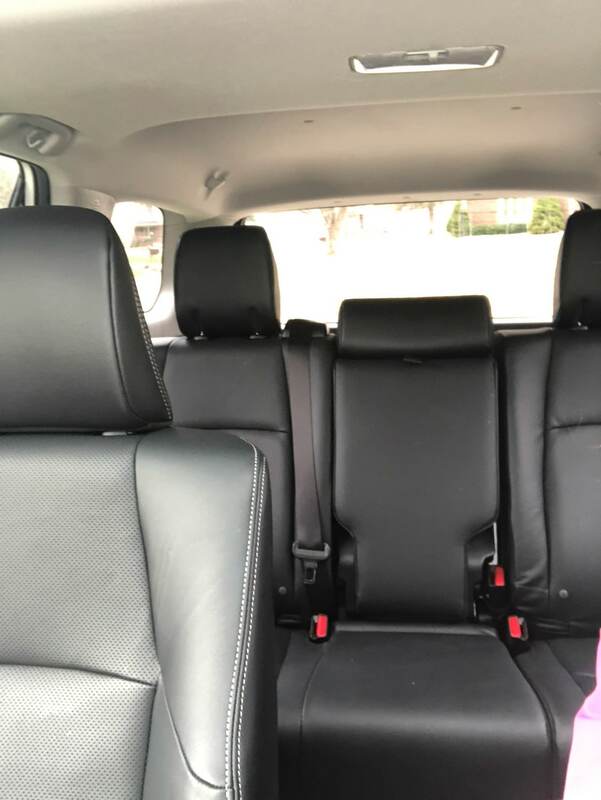 For more Family Friendly Toyota vehicle reviews be sure to check out what we thought about the 2017 Toyota Highlander and the 2017 Toyota Rav4.